Did you see the full moon last night and the night before? Apparently an old Celtic name for the January full moon is the Storm moon. It was shining so brilliantly just as dusk fell a couple of nights ago, the owls were hooting in the woods nearby and the air felt crisp and clear. I think the owls were hoping that the dogs would disturb a vole or two as they raced around. 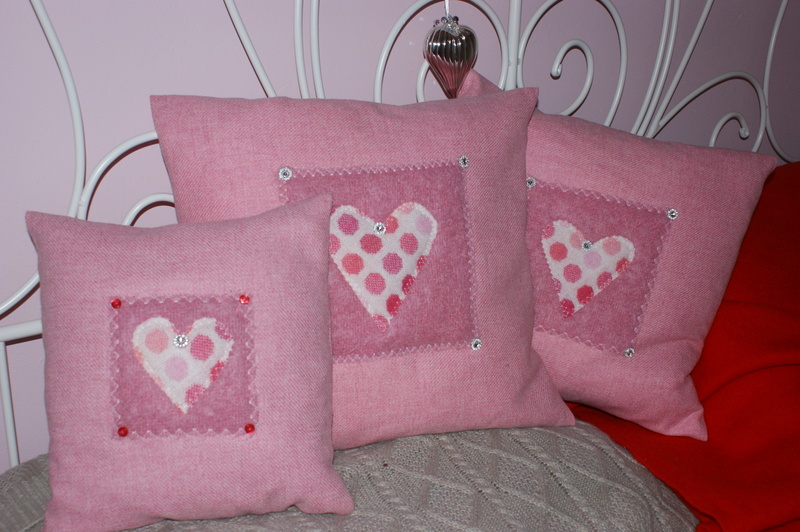 Welsh wool hearts on soft mohair and pink wool - scrumptious! You are currently reading Weekend starts here! at Adaliza.